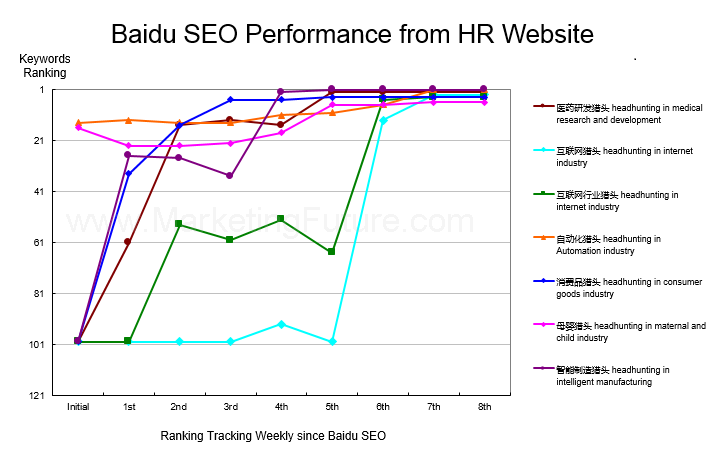 After 6 weeks of Baidu SEO engineering with target keywords, we’ve achieved an excellent keywords rankings performance on Baidu search engine. Here’s organic position tracking weekly as following. Please feel free to contact with us for more details on how we help the client one by one in the procedure of Baidu SEO.